For over 25 years AKE has supported organisations working in challenging, remote and hostile environments. 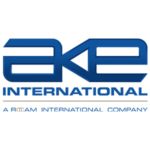 AKE is a leader in the field of international risk mitigation providing a variety of integrated client-based services. AKE distinguishes itself from its competitors through a proactive intelligence-led approach to assessing, monitoring, training for, and protecting against risk.